230 people have been killed. Hundreds of people still missing. Huge 3-foot Tsunami waves wreaked havoc and horror, destroying homes and buildings, sweeping away hundreds of people in terror. In the aftermath, there has been widespread panic and hysteria as people search for missing loved ones, treat the injured and come to terms with the wide scale death. 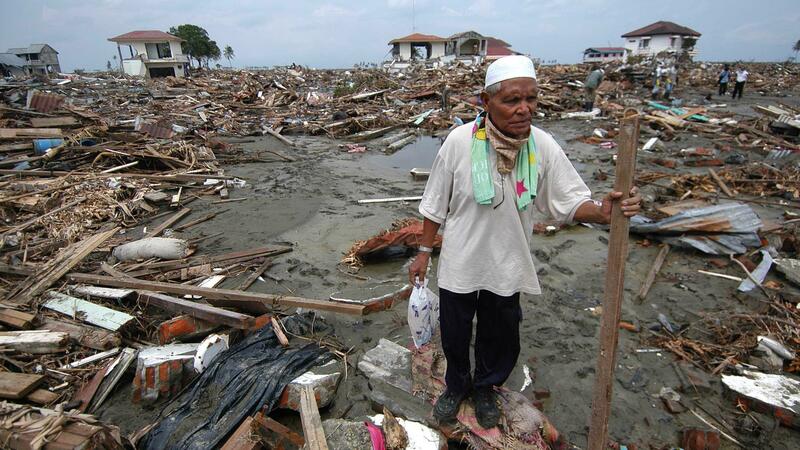 Donate now to our Emergency Fund and help us provide emergency support in disasters like this. Muslim Aid is on the ground with our partners, coordinating a rapid response in collaboration with government efforts. These people need your help fast. The death toll will continue to rise as people lie injured and trapped. An Emergency Food Pack could provide essential food, and water to a family. An Emergency Shelter Pack could provide emergency shelter kits and hygiene facilities. An Emergency Survival Pack could provide emergency medical aid and support the set up and running of public kitchens. Donate to our Emergency Fund now or call 020 7377 4200. There is no time to waste.